It’s hard to find a reliable Taxi service, but Alexandria has been around for more than 60 years, proudly serving Alexandria and surrounding areas. 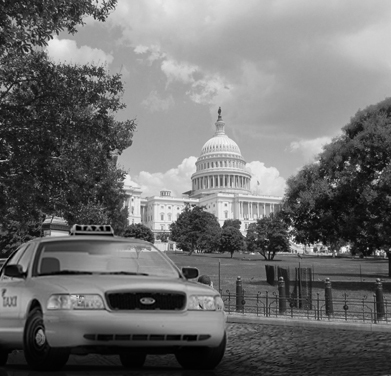 With us you can have a second to none service, so if you need a taxi from Alexandria VA to Washington DC, don’t hesitate, contact us in any way you like. Despite the long tradition, our team also adapts to new technologies. If you have a smartphone (Android or iOS), you can use Voice Search function and issue a “taxi near me” command. Our team pays lot of attention to the quality of our vehicles and cleanliness in one of our top priorities. Cars are well maintained and cleaned on a daily basis, and none enters the streets without a proper inspection and a onceover. Employing the latest technologies is one of our principles, keeping up with the time and age. Trying to provide the best for each and every single client, and new approaches, processes and constantly raised bar for service standards help us provide exceptional service time and time again. You will even see a 100% electric Tesla car driving around under the Alexandria Yellow Cab colors. Don’t let the hassle of traffic stress you out. And when it comes to traffic, it gets really heavy at Washington DC. You will battle it with us, and at the most affordable rates! Simply sit back and relax in the comfort of your premium taxi vehicle. You will feel like you are driven around in a privately chauffeured limo. Schedule a pick-up and a drop-off in advance, and see for yourself why thousands of clients place their trust in our taxicab service every year. Our services are available at all times – 24/7, 365 days a year. Simply call +1 703-549-2500 or book with our booking engine, and a chauffeur will be there, even before the scheduled time. See what Alexandria Yellow Cab has to offer –various services like point to point, by the hour and even corporate accounts!